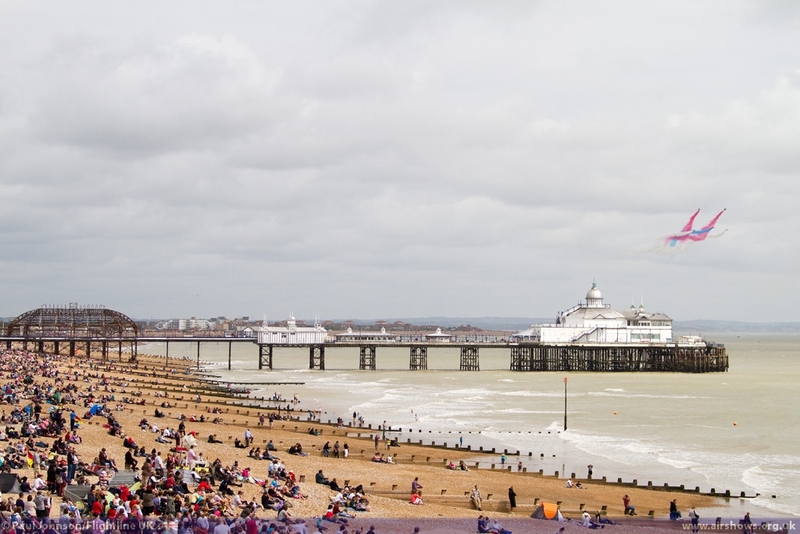 Eastbourne hit the headlines in August for all the wrong reasons when fire ripped through the inner third of the town's famous pier. 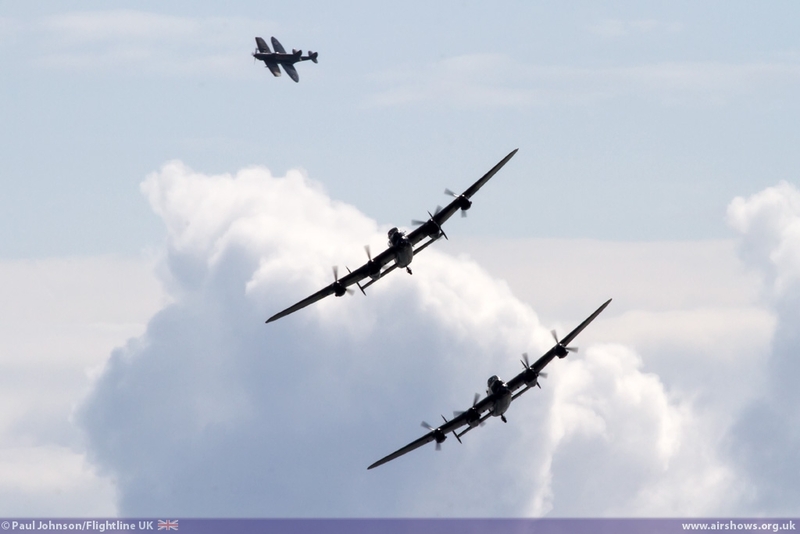 However just a matter of days later, it became the venue for a very historic airshow occasion with the first public display by the pair of Avro Lancasters from the Battle of Britain Memorial Flight and the Canadian Warplane Heritage Museum. 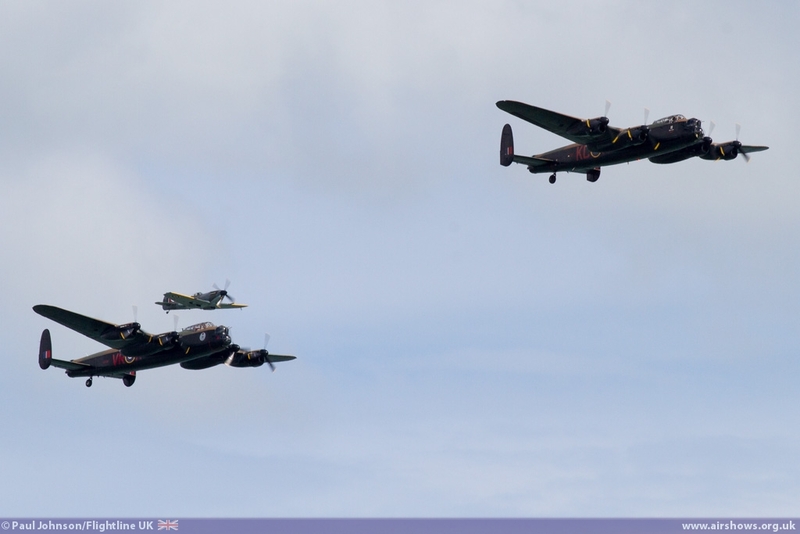 The Lancasters were just one part of an airshow that has really grown in recent years into one of the best in the country. 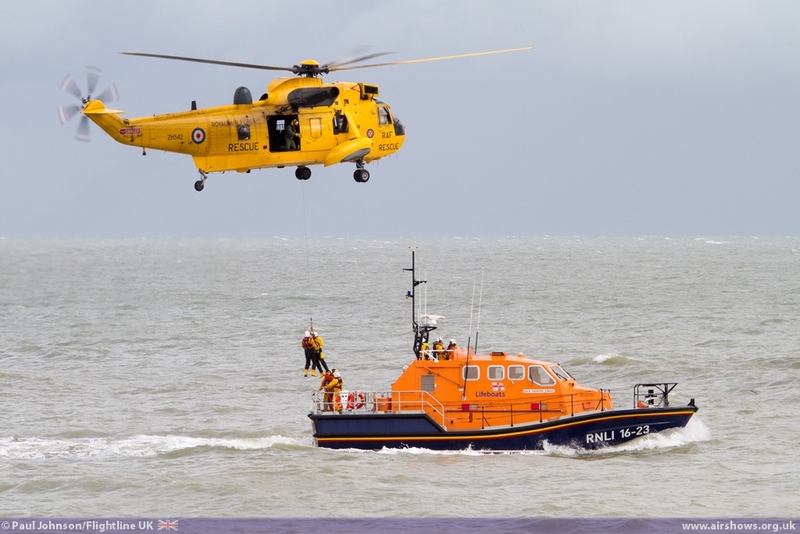 The damage to any coastal town's pier had the potential to be devastating. 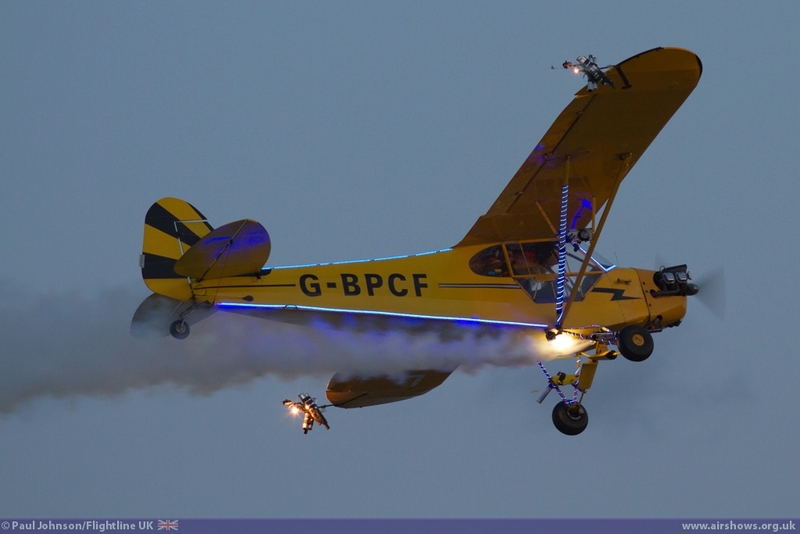 They are often the focal point of the towns tourist trade and therefore very important, particularly during the height of the tourist season. 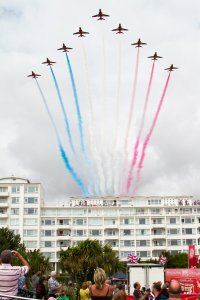 In many ways, it was fortunate that Eastbourne still had its annual Airbourne International Airshow to come after the fire. 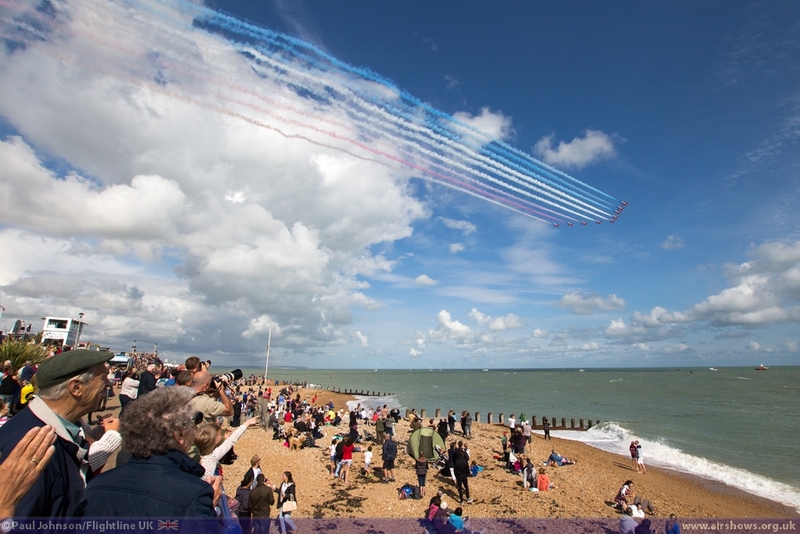 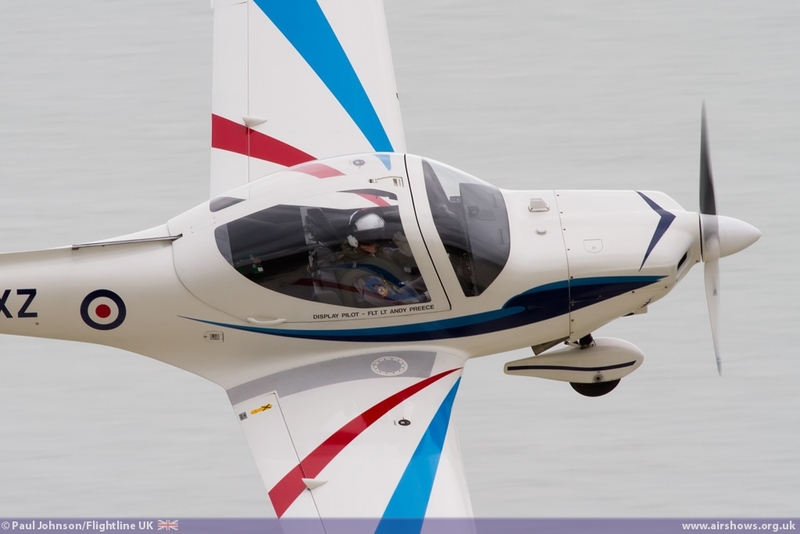 Airbourne always is a showcase event for Eastbourne showing off not only its promenade, but also the surrounding downland off to visitors from across the UK and Europe at its very best. For the businesses based on the pier it was also an opportunity to recoup some of the losses they have incurred as the Council offered them free trading space throughout the event. 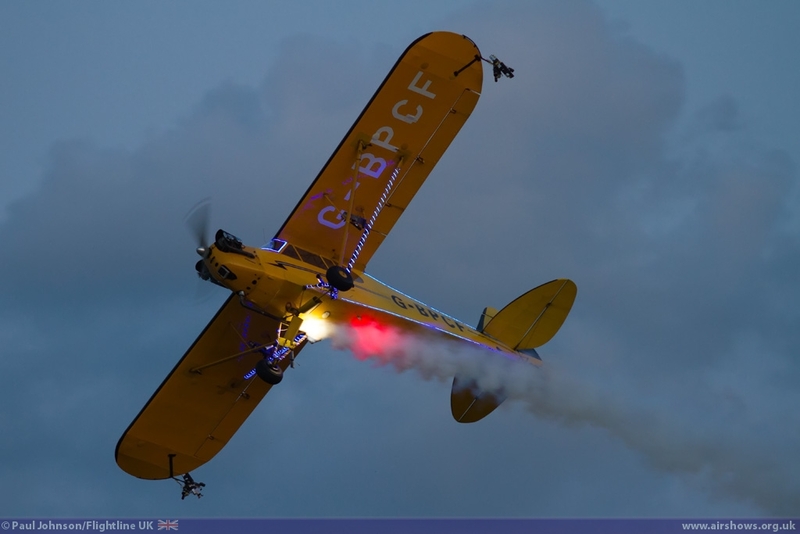 The promise of the Lancaster Duo certainly heightened interest in many of August and September's airshows and that was very much the case for Eastbourne with massive crowds over the four days, particularly on Saturday when the seafront was completely saturated with people! 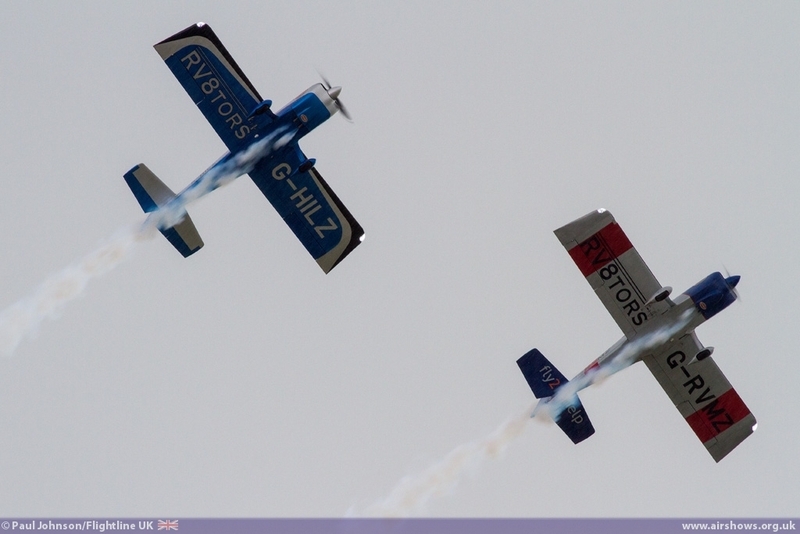 However, They were all treated to some great aerial entertainment over the four days. 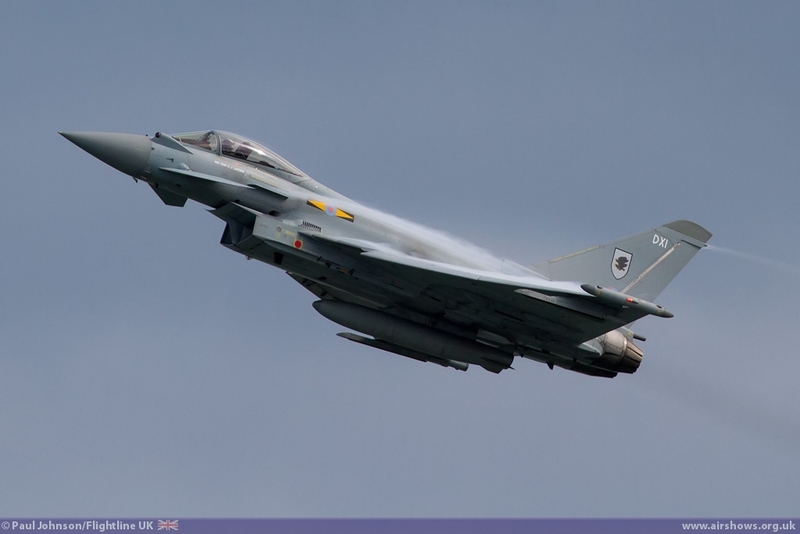 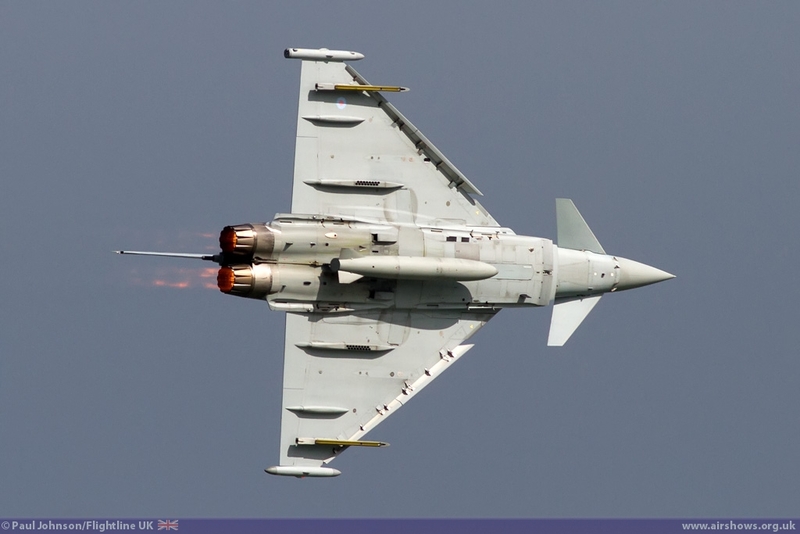 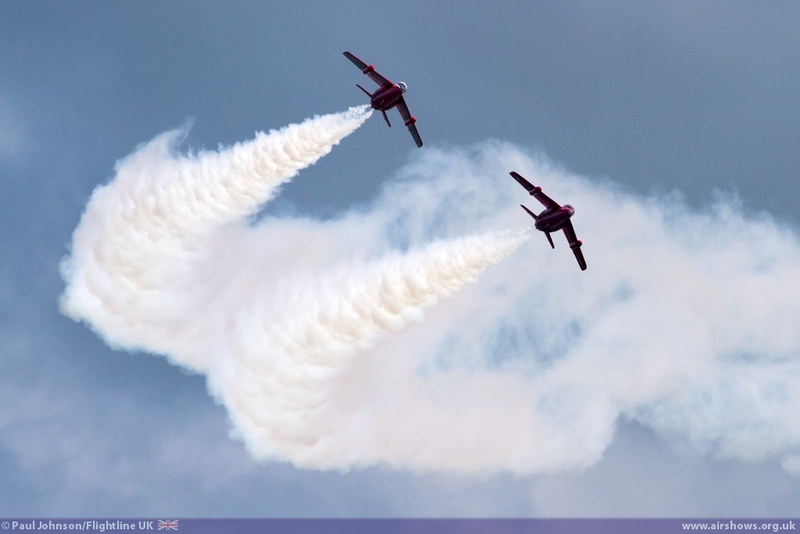 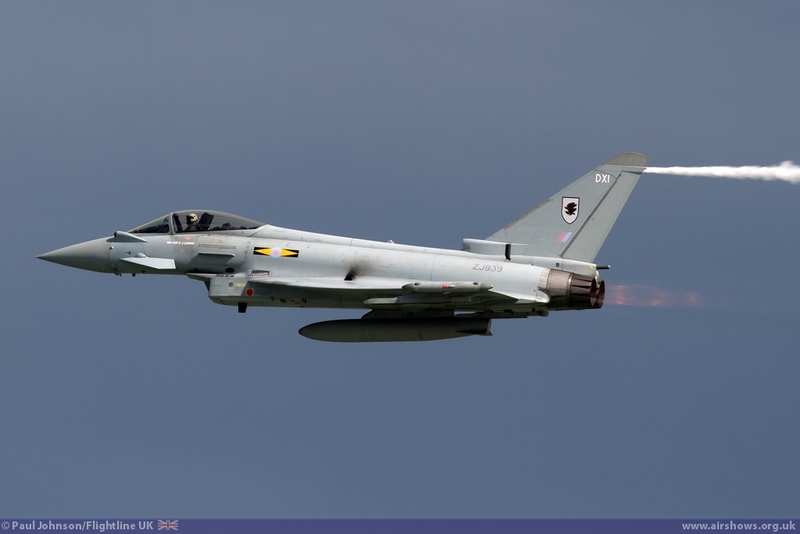 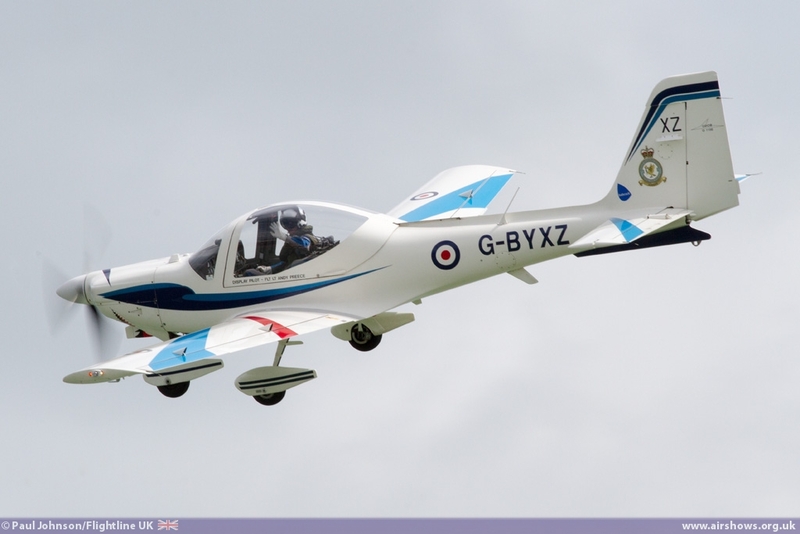 Seaside events are particular popular with the Royal Air Force who often see the chance to display in front of a much wider audience, often in locations where the RAF has little or no permanent presence. 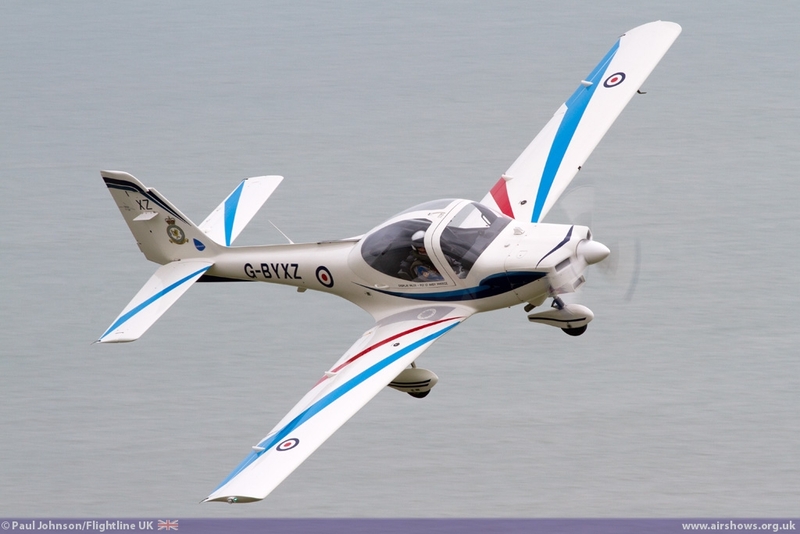 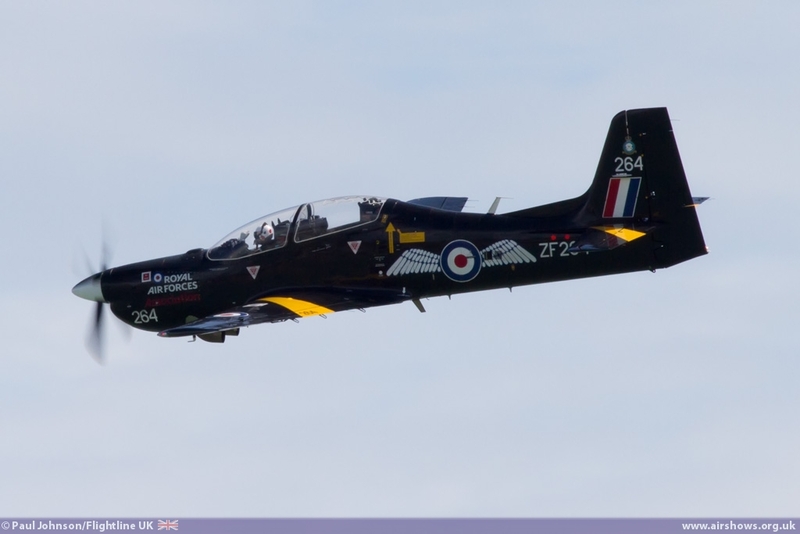 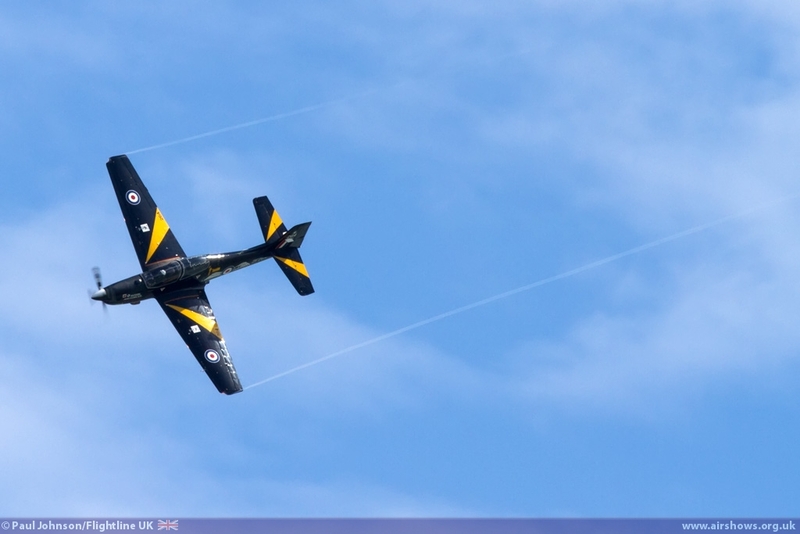 Eastbourne saw all of the RAF's solo displays in attendance with the Tutor T1 and Tucano T1 flying over all four days. 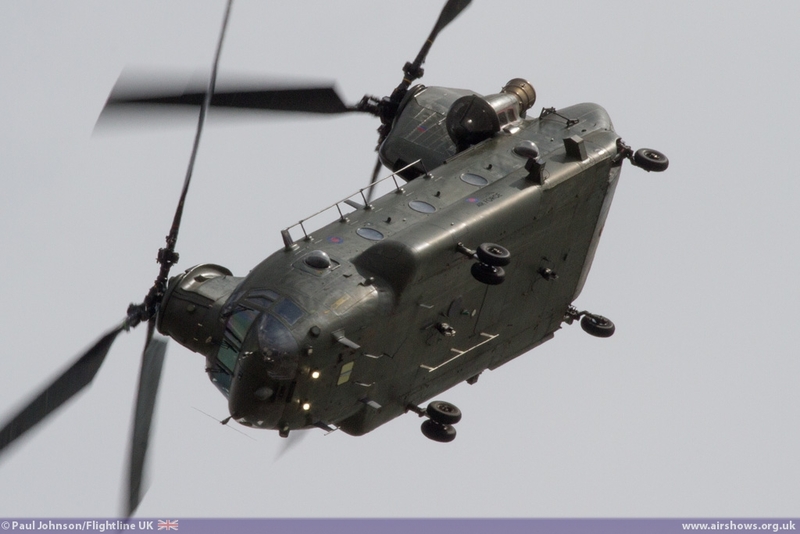 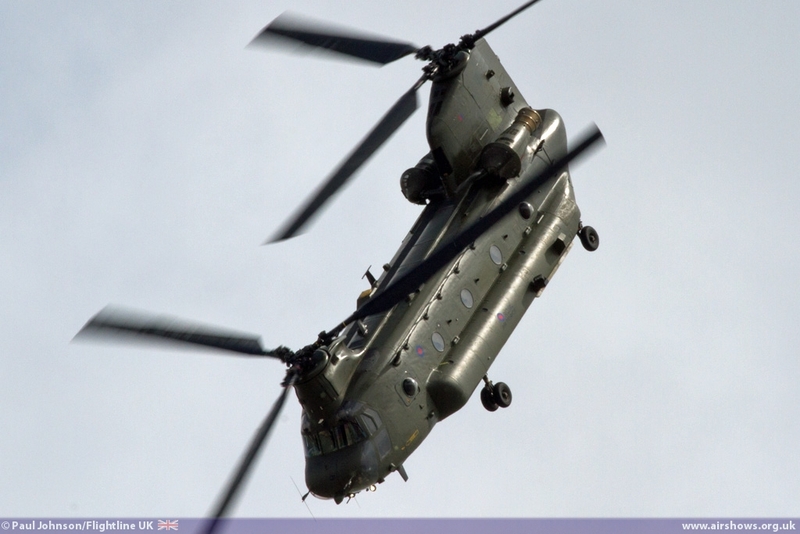 The Typhoon FGR4 and Chinook HC2 joined the fray from Friday to complete the line-up. 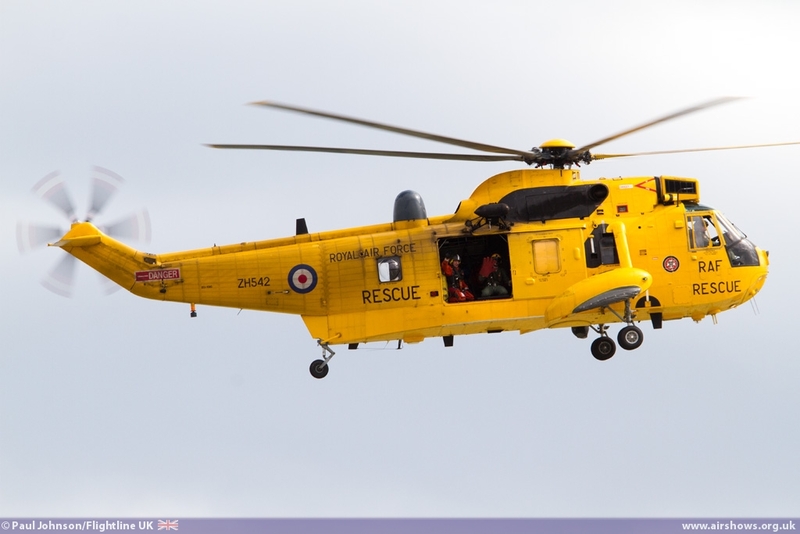 Always welcome, particularly at coastal venues are appearances by the Search and Rescue Westland Sea King HAR3As and one from RAF Wattisham managed to fit in some appearances during the Airbourne weekend working with the local Lifeboat crews. 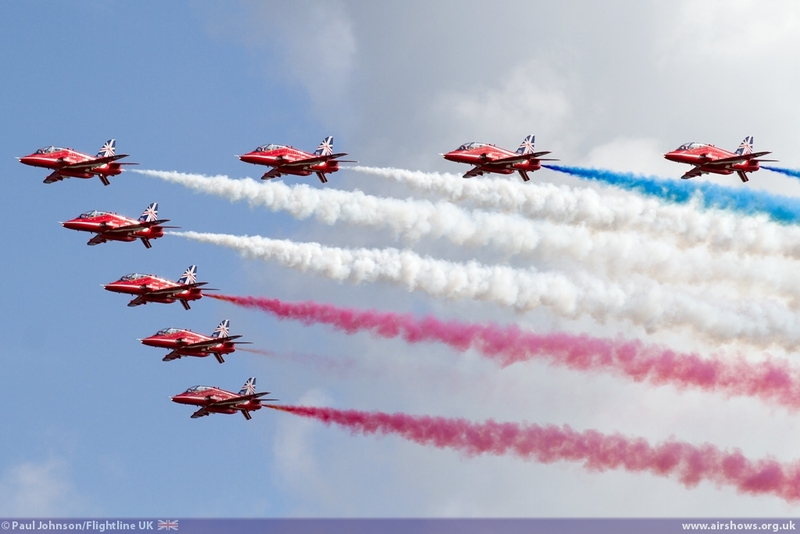 The Red Arrows also for the second successive year took in all four days of Airbourne into their busy summer holiday schedule. 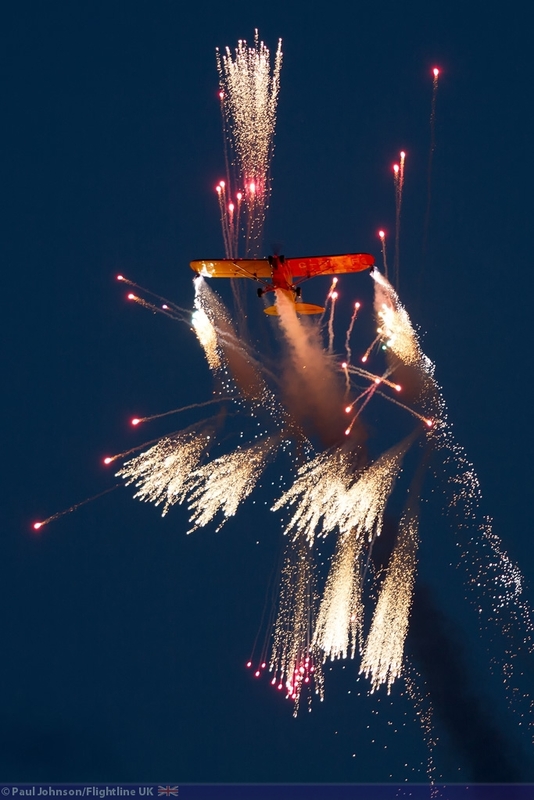 Adding to the team's 50th Display Season celebrations, Eastbourne hosted a special golden themed fireworks display to close the event on Sunday evening. 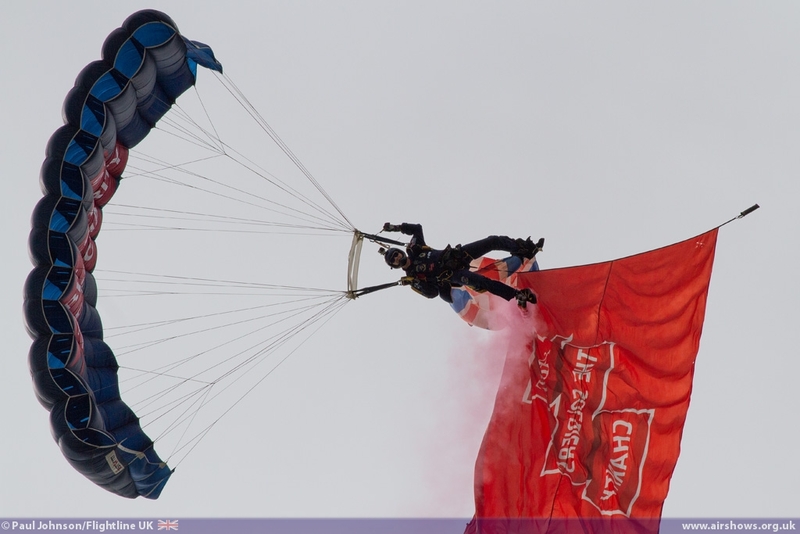 The Royal Navy were represented over the weekend by the Royal Navy Raiders Parachute Display Team while the Army's Tiger Parachute Display Team flew over the Thursday and Friday of Airbourne. 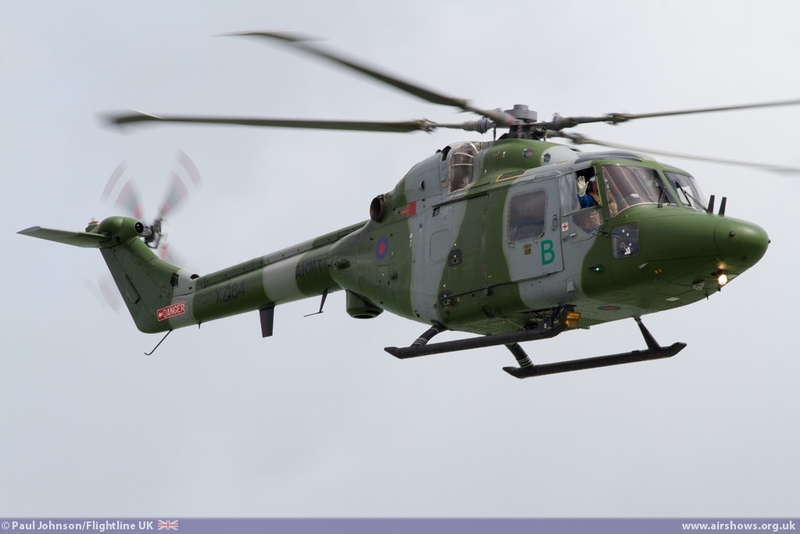 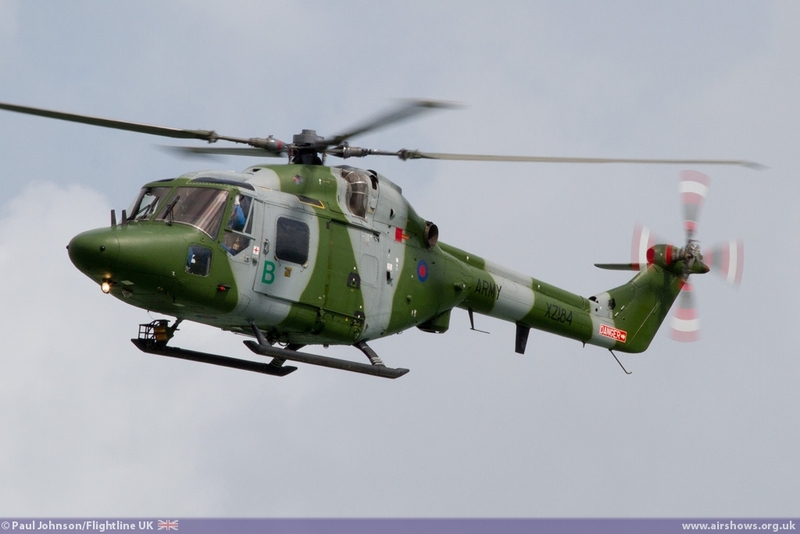 Also from the Army came the Westland Lynx AH7 solo display which also performed on all four days. 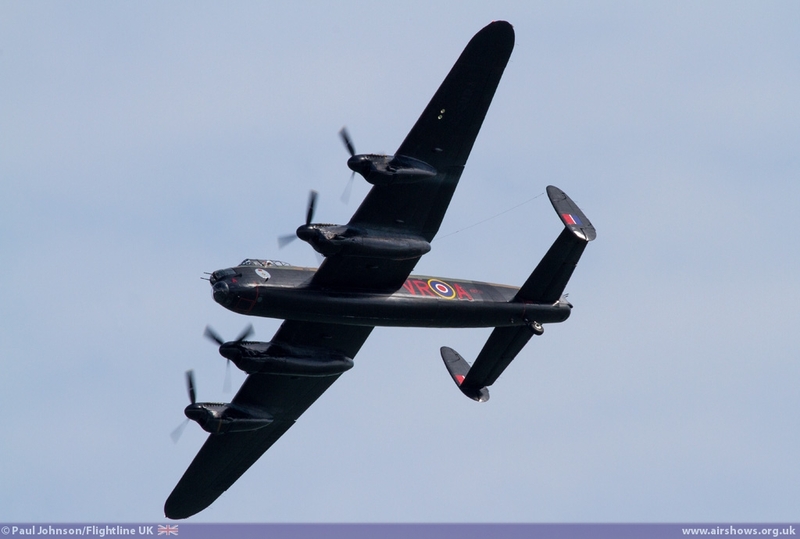 If was of course the Battle of Britain Memorial Flight flying with the Canadian Warplane Heritage Museum's Lancaster B.Mk.10MR that proved to be the over-riding memory of Airbourne. 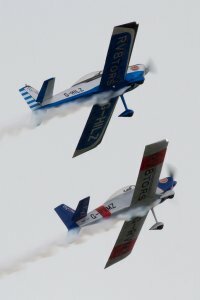 Despite some very chellenging weather at times, they managed to get to Eastbourne on the first three days and were only defeated by very strong winds on the final day. 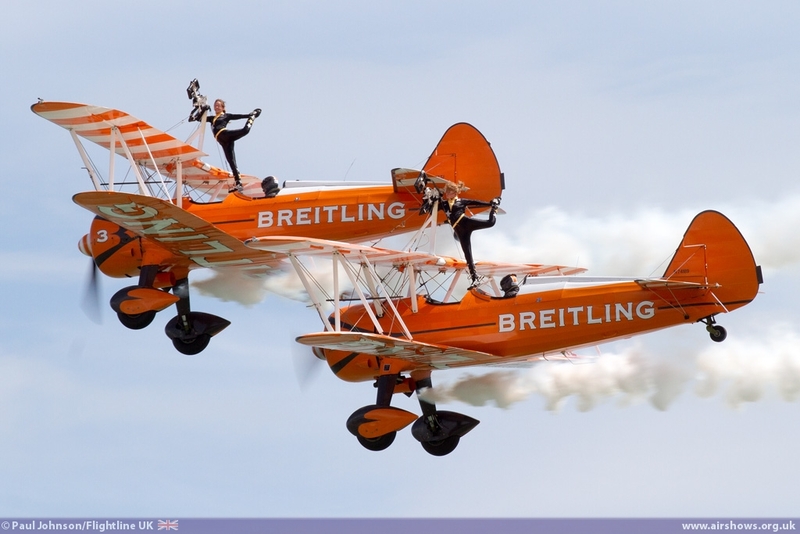 There are few more apt venues that the Lancaster duo could have started their tour of UK airshows as perched high on Beachy Head stands a memorial to all Bomber Command crews from the Second World War. 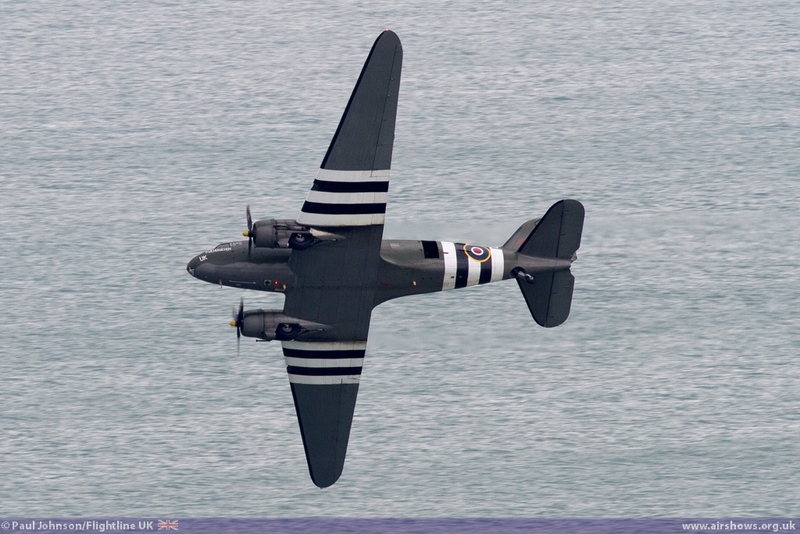 For many crews, the bright white cliffs of Beachy Head and the Sussex Downs were an important waypoint on their return from operations over occupied Europe. 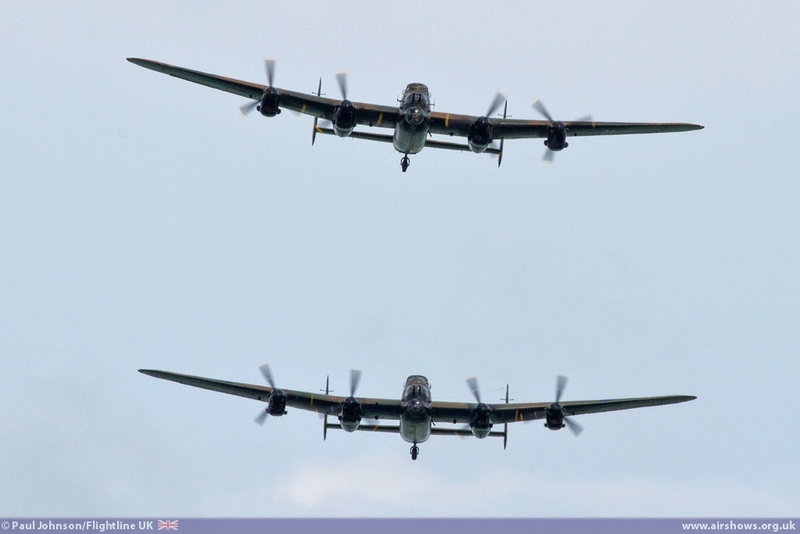 Joining the two Lancasters were the Spitfire XVI and XIX on all four days. 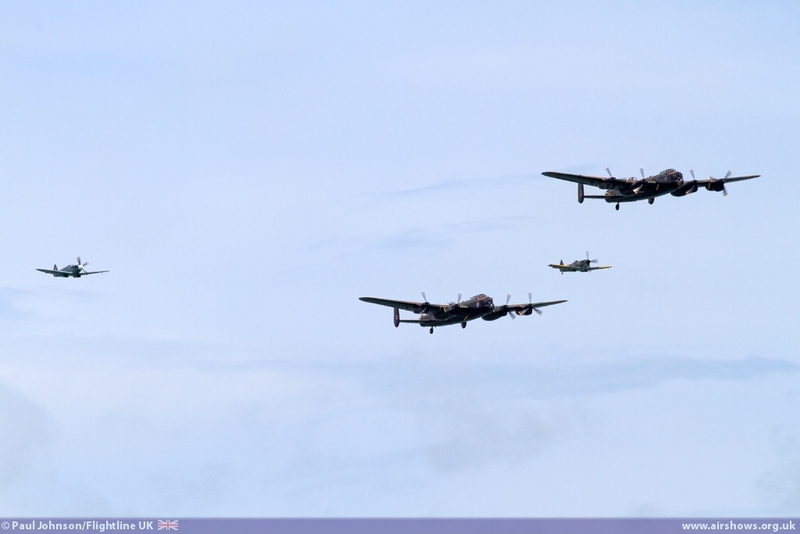 The BBMF also contributed their Douglas Dakota III on all four days too helping to commemorate the 70th Anniversary of the D-Day Landings. 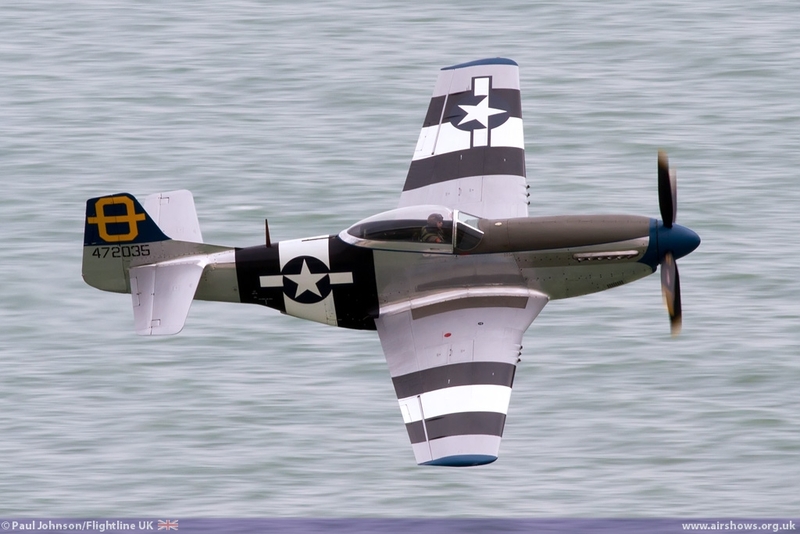 Eastbourne always features a good selection of civilian warbirds. 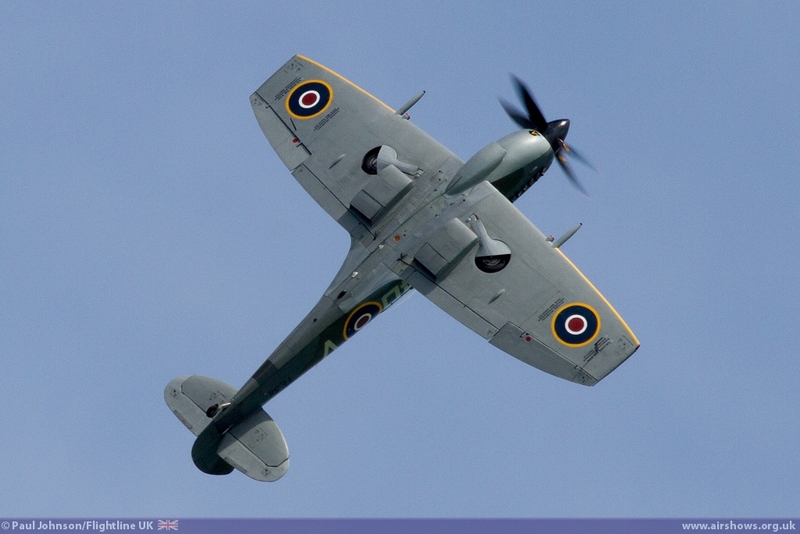 A regular at the show is John Romain who flew the latest Supermarine Spitfire Ia to be restored by his Aircraft Restorcation Company, N3200. 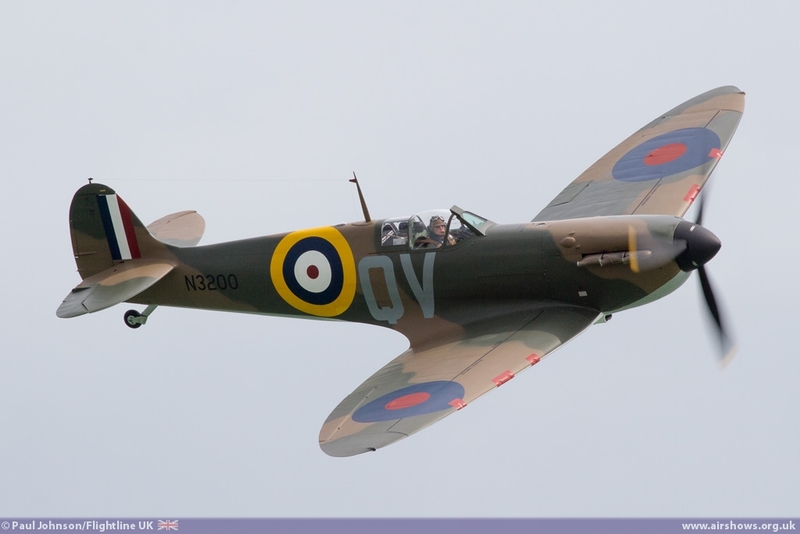 The appearance of an early war Spitfire Ia over the white cliffs of the Sussex Downs and the English Channel was a particularly poignant one. 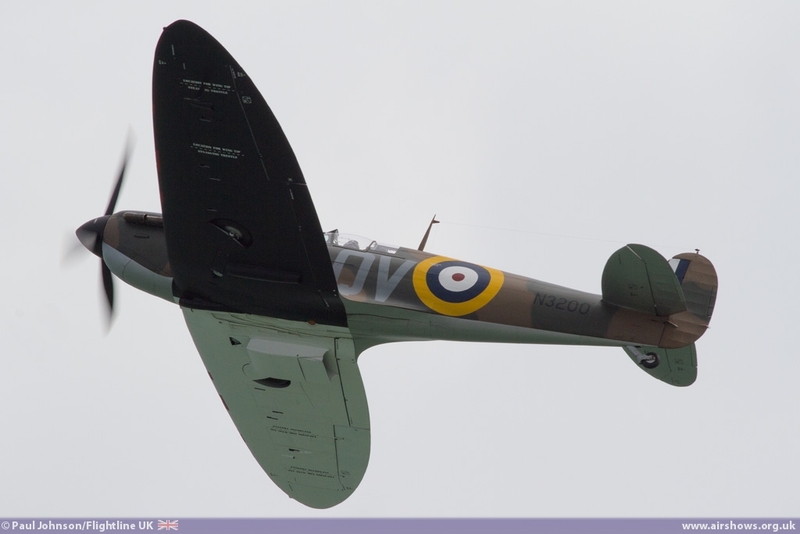 The final two days saw john display the two-seater Spitfire IXT in its D-Day markings following a small snag with the Ia's engine. 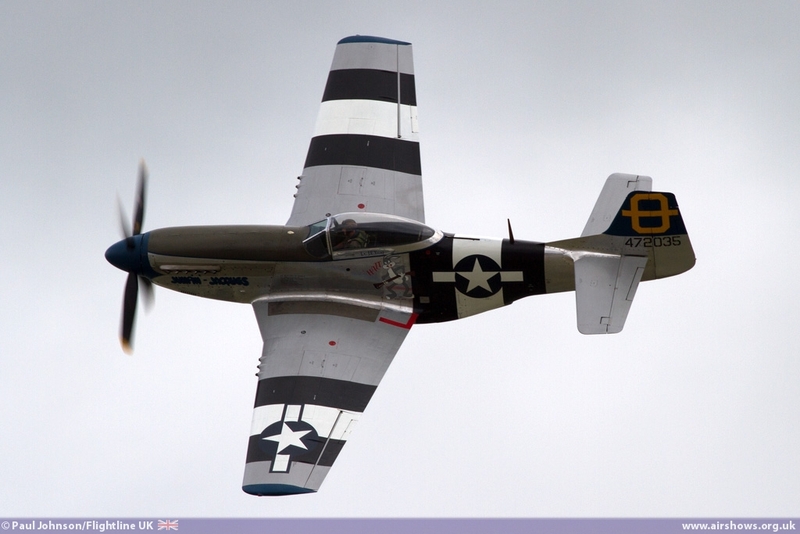 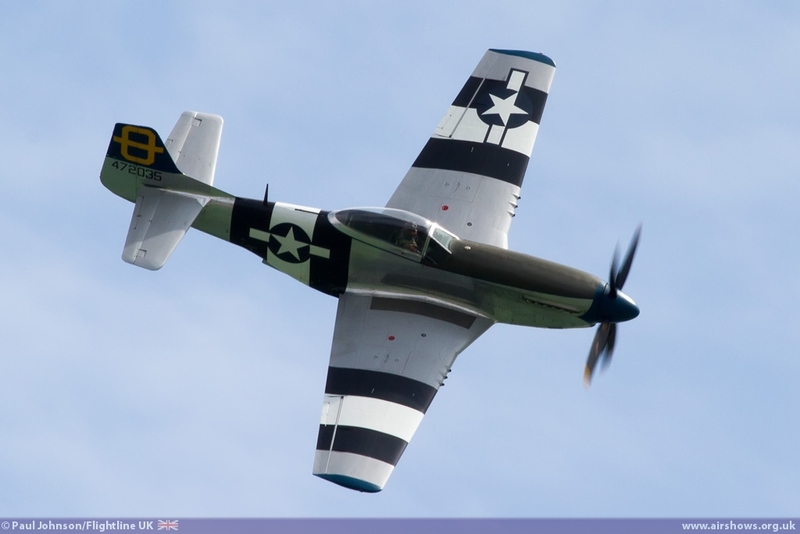 Peter Teichman flew his P-51D Mustang too on all four days representing the contribution of the United States Army Air Force to the Second World War. 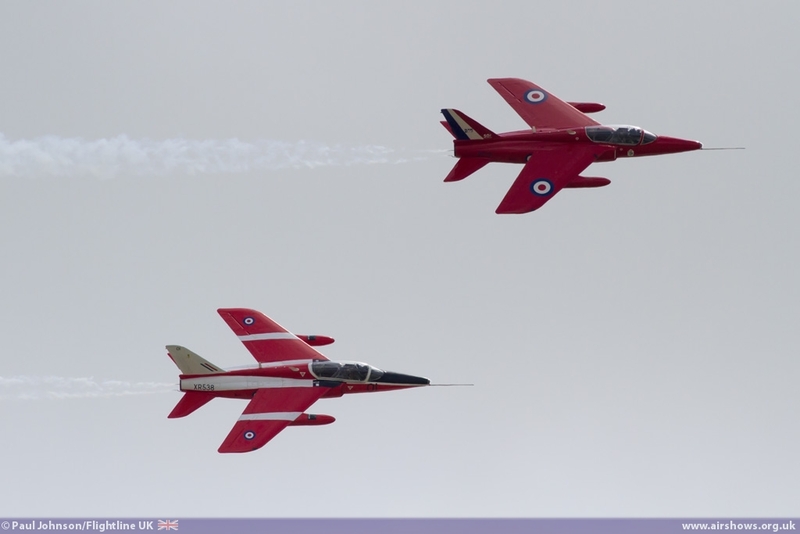 Classic jets featured well in this year's show. 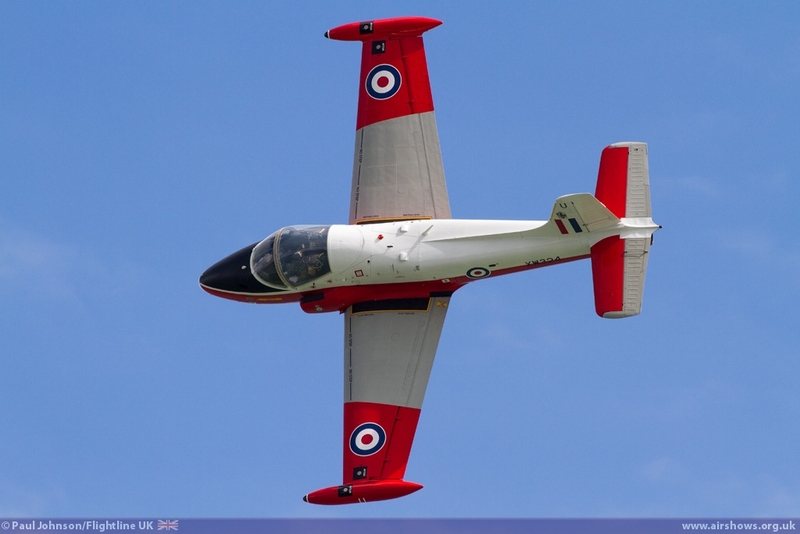 Andy Hill returned to display Jeff Bell's immaculate BAC Jet Provost T5 with a spirited aerobatic display on all four days. 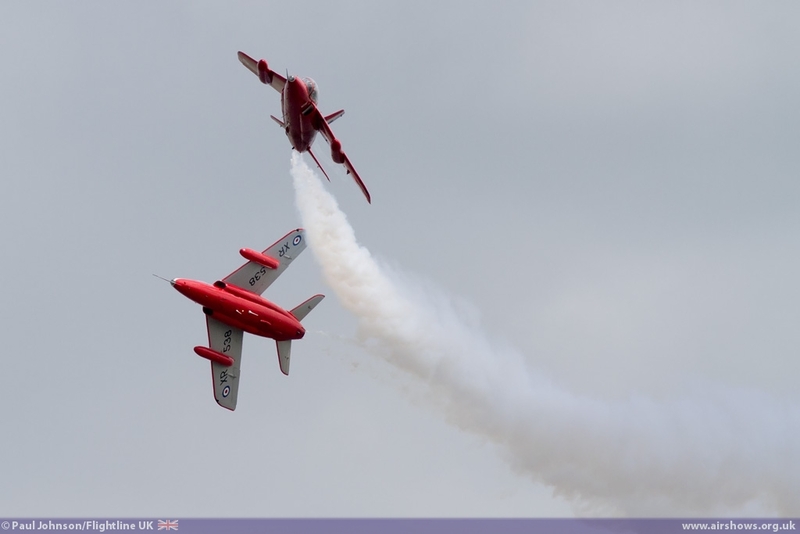 The weekend saw further historic jet trainers on show with the Gnat Display Team presenting a pair of their Folland Gnat T1s. 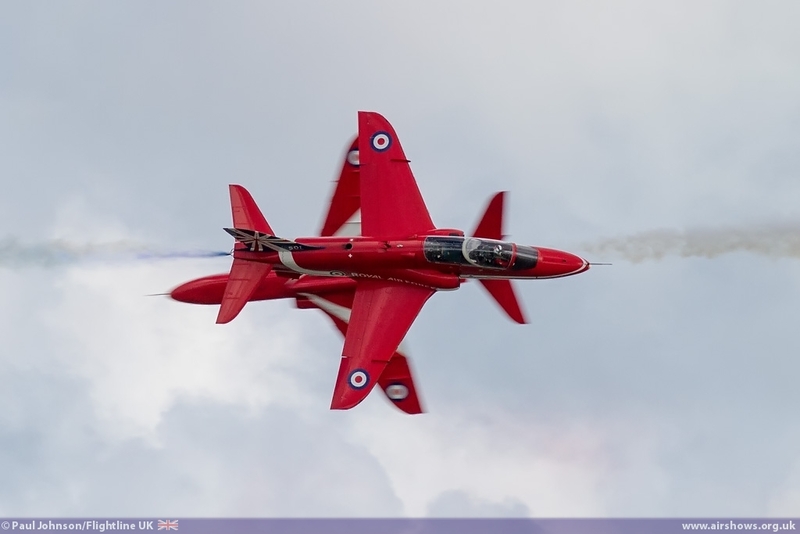 The smooth flowing routine of the Gnats highlighted by white smoke trails is a wonderful reminder of the early years of the Red Arrows in this 50th Display Season. 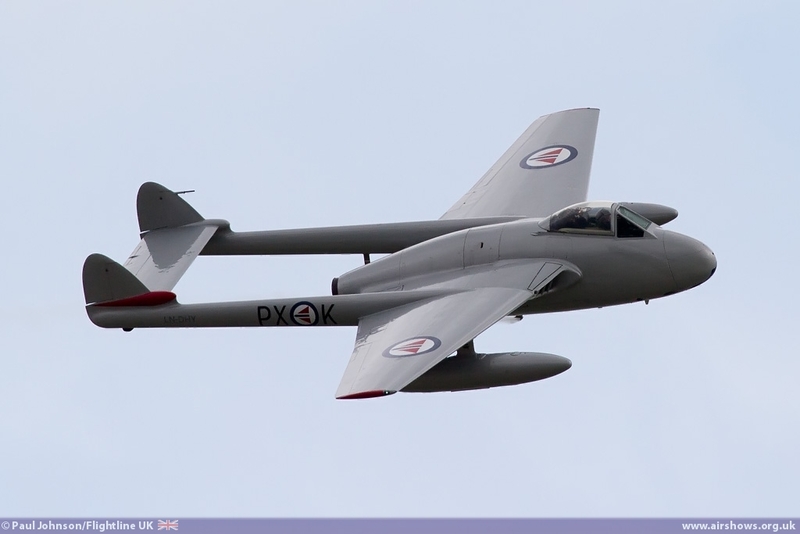 Sunday saw a much more potent classic jet close the display with the Midair Squadron BAC Canberra PR9 flown by David Piper. 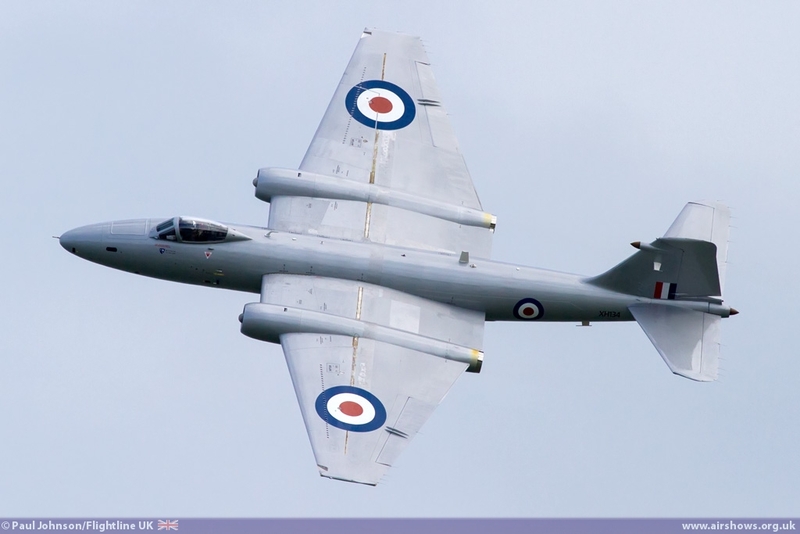 The Canberra has been a massive hit on the display circuit this year which has been its first full season since emerging from restoration last year. 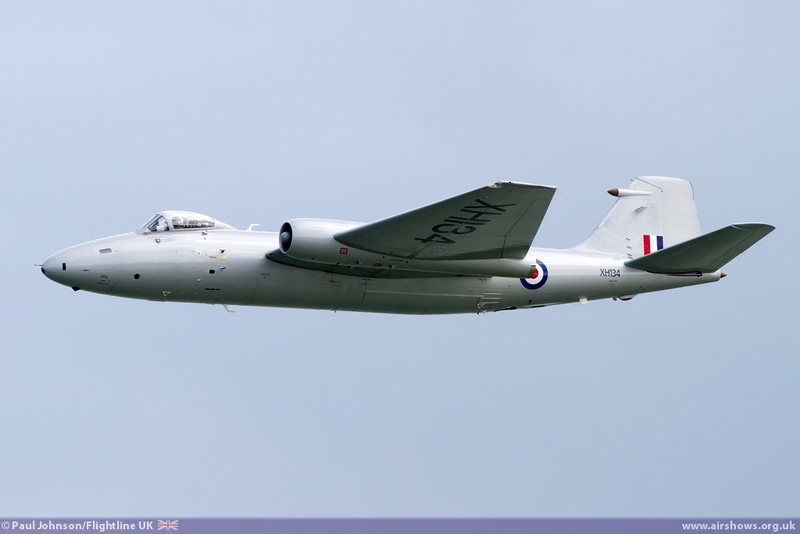 Even though it is flown through a relatively gentle routine, the Canberra certainly has great presence and departed the display arena in a flourish of speed and noise! 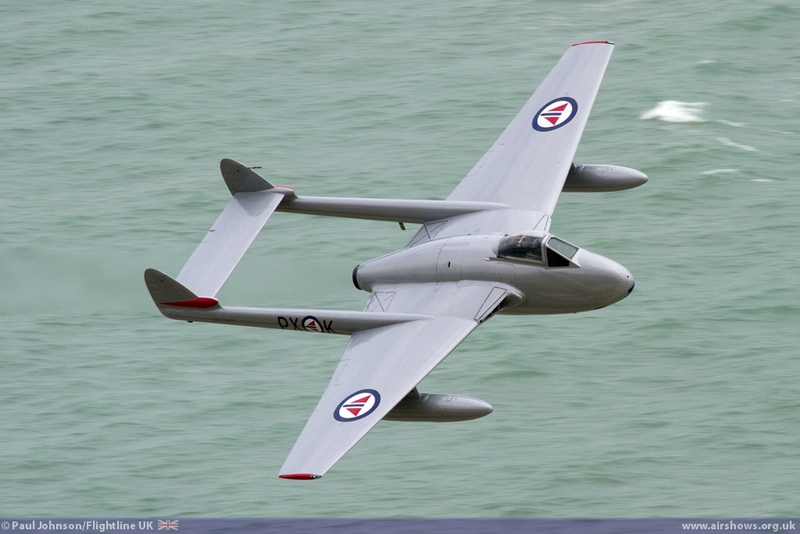 However, star of the classic het line-up was the de Havilland Vampire FB6 from the Royal Norwegian Air Force Historical Squadron. 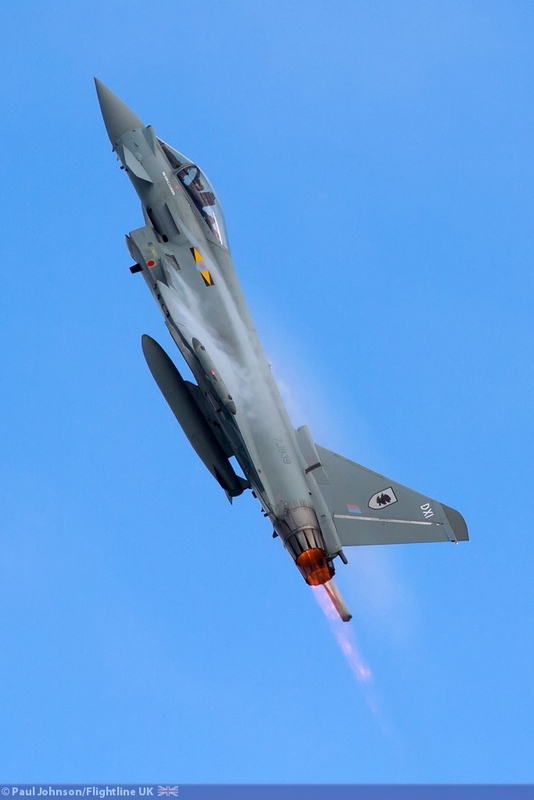 While we have seen the Squadron before at Duxford's airshows, this years has seen the squadron spread its wings with appearances at Sunderland and now Eastbourne. 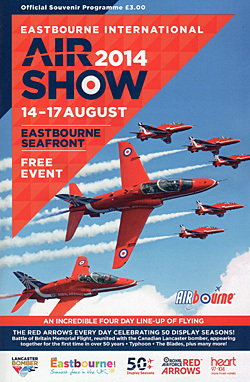 It is also good to see Eastbourne continue the international theme of its historic displays this year following the appearance of the two Dassault Flamants last year. 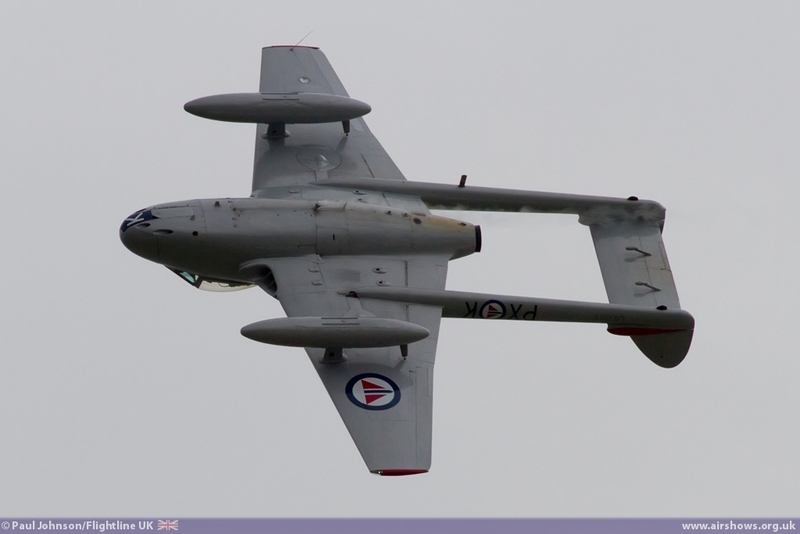 The Vampire put on a lovely routine of smooth solo aerobatics and looked lovely against the occasional blue skies! 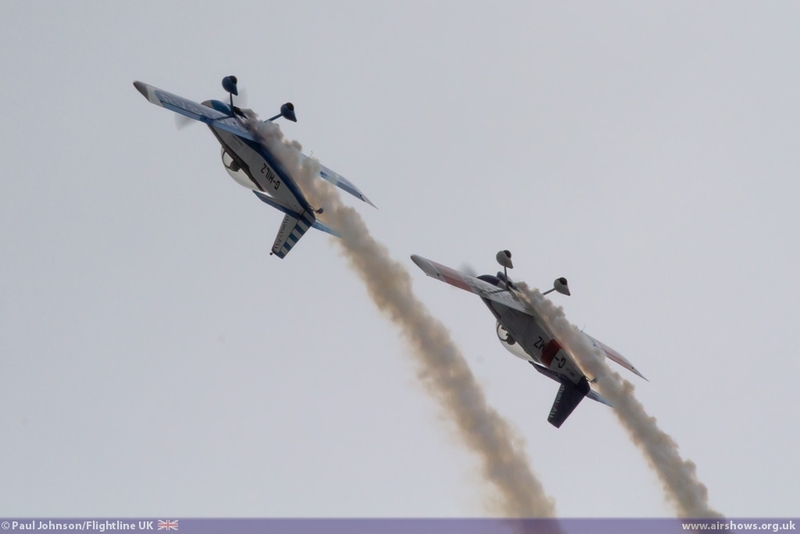 Civilian display teams are always an important part of any seaside airshow. 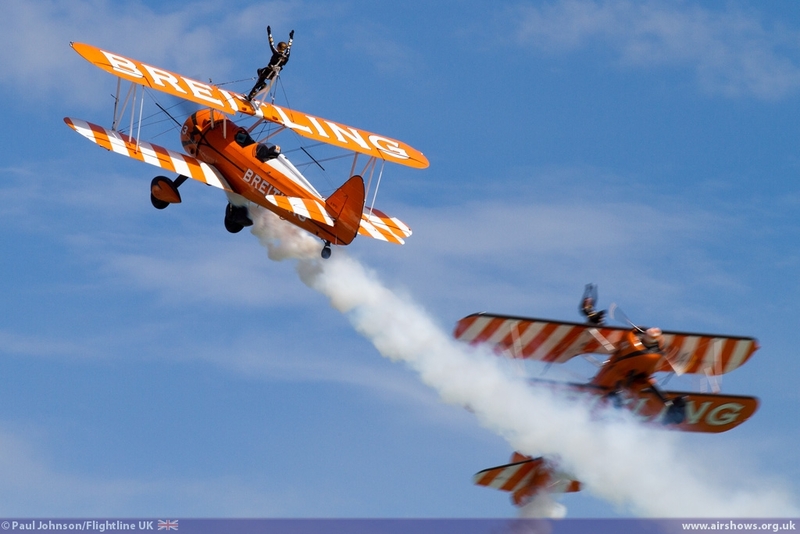 In particular, no Eastbourne Airbourne would be complete with the Breitling Wingwalkers with their wonderful Boeing Stearmans rasping around Eastbourne Seafront. 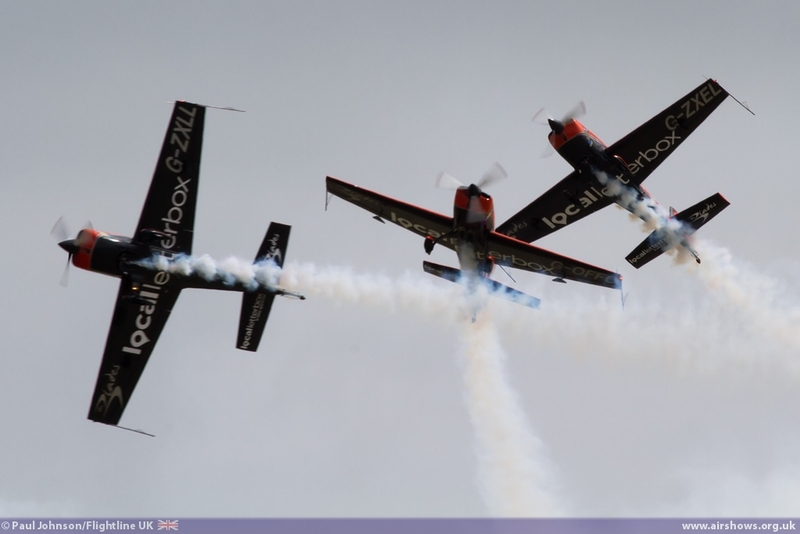 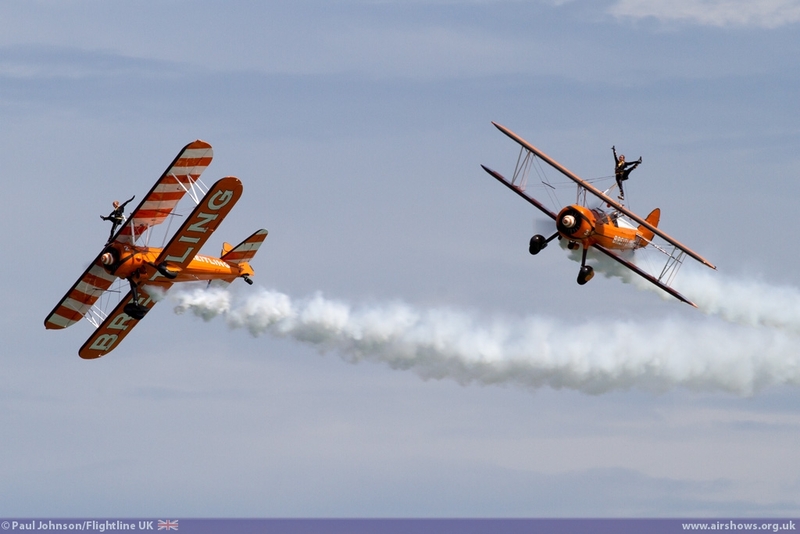 Formation aerobatic routines came from two very different teams. The RV8tors Team of Alister Kay and Andy Hill fly their fast Vans RV8s through a very smooth and eye-catching pairs formation routine and their "Heart" finale always earns a good reaction from the crowd. 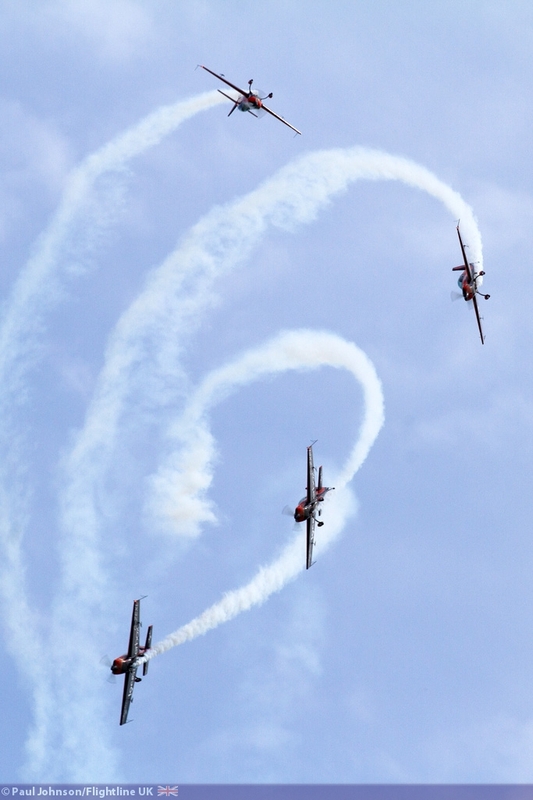 Another Eastbourne favourite are the Blades Aerobatic Team who performed on all four days with their amazing routine of precision flying. 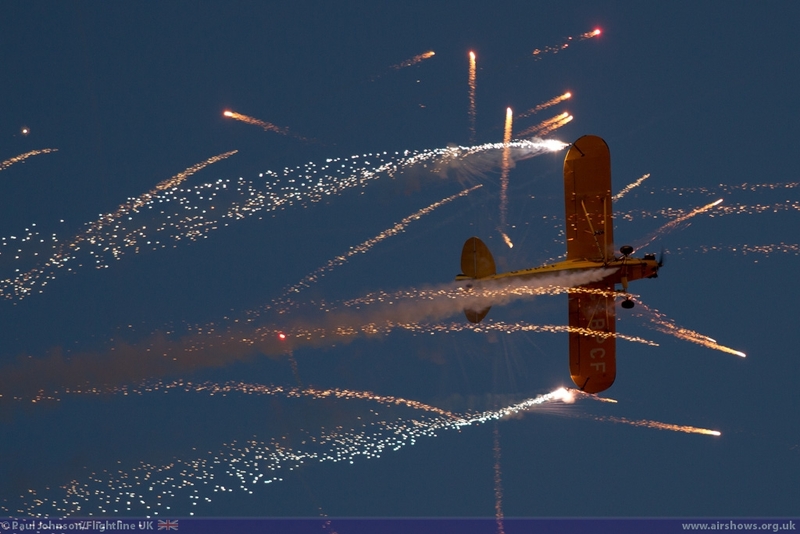 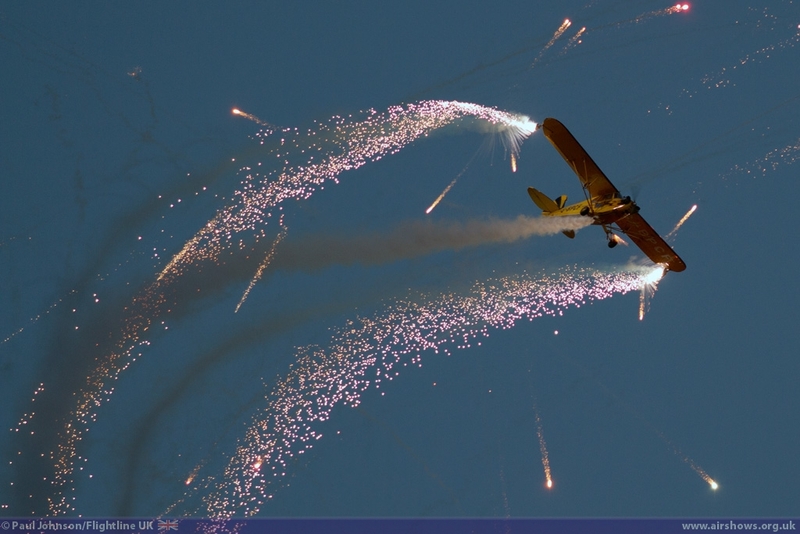 In a departure from their traditional solo Spitfire, Eastbourne brought its flying activities to close on the Sunday evening with a spectacular pyrotechnic display by Brendan O'Brien in his highly modified Piper J3C Cub as part of the "After-show Party" held on the Beaches of Eastbourne which also featured stage acts and live-music to round off the event in style. 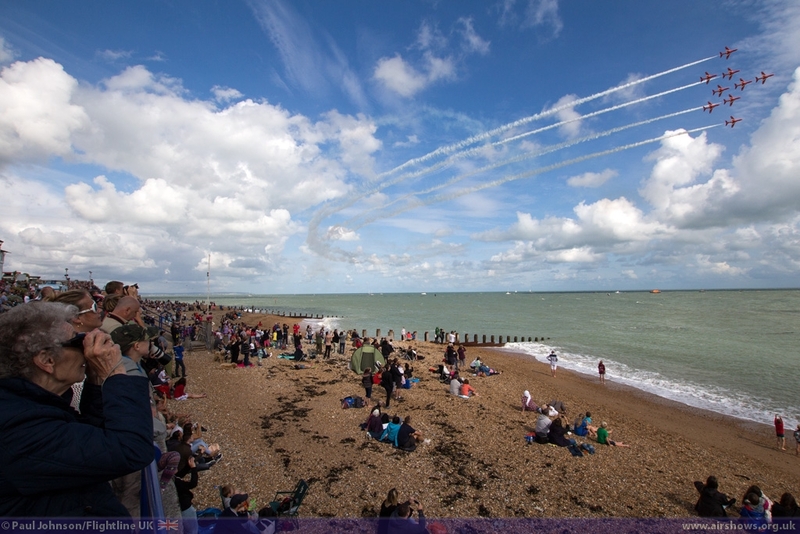 Eastbourne's Airbourne is always a pleasure to attend thanks to the varied viewing location and great flying displays put on over the four days. 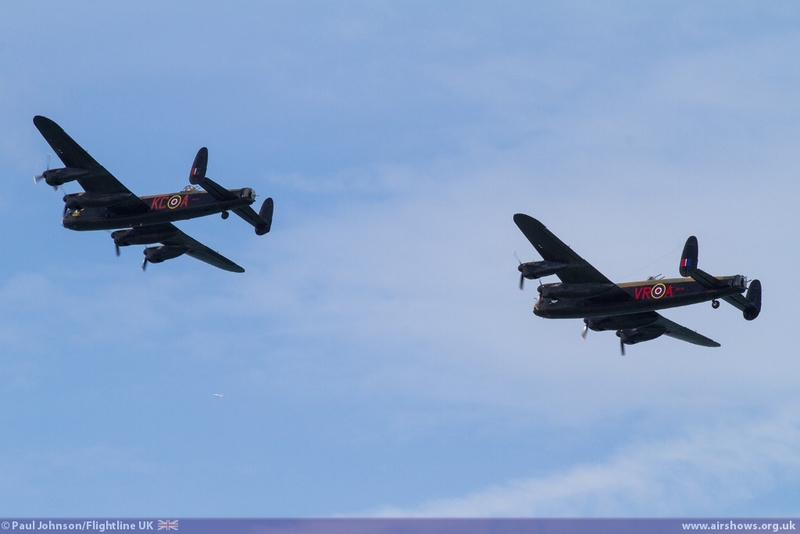 This year has to be the most memorable to date thanks to a lovely bit of airshow history created on the Thursday with the public display debut of the Lancaster Duo. 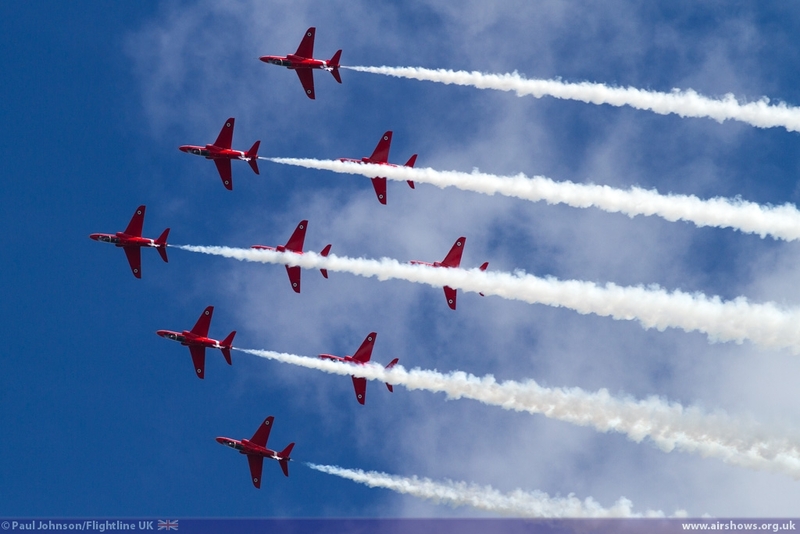 Eastbourne returns in 2015 between the 13th-16th August.